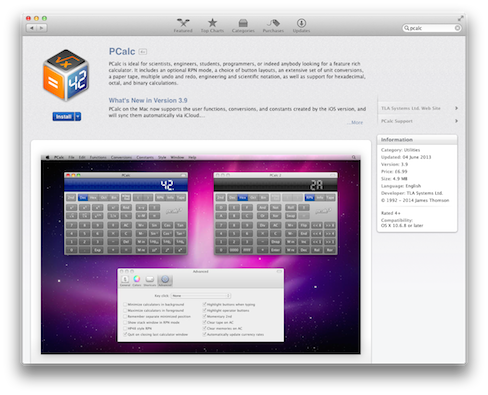 You can buy PCalc through Apple's Mac App Store. If you have an existing iTunes account, it's pretty much a one-click purchase. The application will download and install automatically and the store will keep you up-to-date when we have any new versions out. There are no serial numbers to keep track of or anything like that. Thanks for supporting indie developers in general, and our company in particular.